Treat yourself to an unforgettable beachfront vacation at the Tahiti Pearl Beach Resort. The hotel’s unbeatable location on Lafayette Beach in the famous Matavai Bay is surrounded by sparkling waters and offers outstanding on-site amenities like an Activity Desk, an infinity swimming pool, a Kid’s Club and even a local arts and crafts market. Indulge in some pampering with an afternoon or a full day of treatments at the on-site Le Spa, or visit the capital center of Papeete using the resort’s free shuttle service. You can also pick up last-minute souvenirs at the on-site gift shop. Reserve your stay online at the Tahiti Pearl Beach Resort today to experience a truly rejuvenating island getaway. 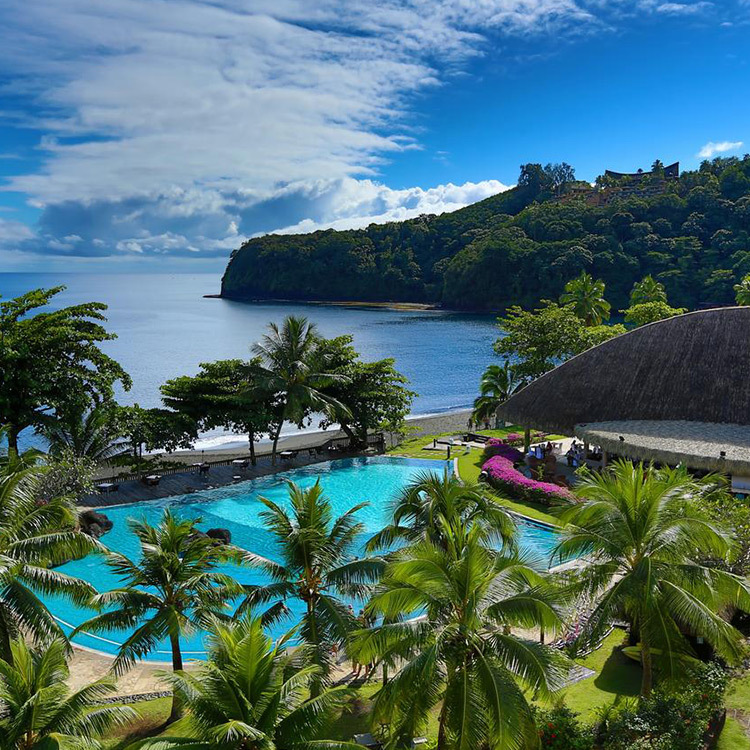 On the shores of Matavai Bay, this chic resort is 6 km from Papeete Tahiti Temple and 8 km from the Robert Wan Pearl Museum. Contemporary rooms with Polynesian accents offer free Wi-Fi, flat-screen TVs, minibars and tea, and coffeemakers. Some add balconies with views. Upgraded rooms add whirlpool tubs. Elegant suites have separate bedrooms and living rooms with pull-out sofas; bi-level units feature rooftop terraces. Room service is available. The covered, open-air restaurant and bar feature bay views. Amenities include an infinity pool, a 24/7 gym with water views, a sauna, a steam room and a spa. Parking and a town shuttle are free.